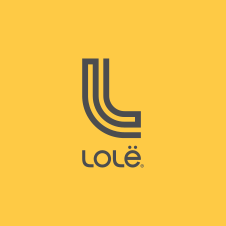 You can find all clean and care instructions for your Lolë products on the labels sewn into the items themselves. If you are uncertain of how to proceed or require any additional information, please contact customer service. It is recommended to use a front-loading washer with no agitation; the central agitation of a regular washing machine can damage or even destroy the insulation. Use a mile powder detergent (not liquid). For persistent stains, proceed to a local cleaning then wash all the garment as recommended. Rinse thoroughly or rinse twice if needed. Soap residue can affect the technical efficiency of the fabric. Do not allow wet garment to dry bundled or folded. This will avoid color bleeding. For maximum performance of the DWR (Durable Water Repellent) the finish must be periodically renewed by tumble drying at low hear for 5-10 min. Avoid drying in sunlight - line dry in shade. After many washes the original repellent finish will be depleted. It is suggested to use a wash spray on the product to retreat the outer surface of the fabric. Do not expose the garment to a direct heat source. To renew the puffy effect of the down garment you must tumble dry the garment at low heat for a short time, approximately 5-10 min, with clean tennis balls.